Gives you a beautifully soft and glowing complexion. A three step kit makes your beauty routine quick and easy. The products in this kit are designed to cleanse deeply, while providing a treasure trove of ingredients to delight normal skins. Tip: If shine is a concern, try the kit for oily skins to start with and change to the normal kit when your skin settles down. PURIFY: A deep cleanse with coconut sugars. BALANCE: Healing toner restores natural pH. GLOW: Anti-aging cream boosts moisture and suppleness. 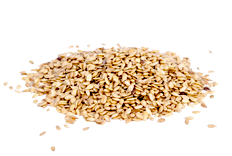 Sesame protein instantly reduces the appearance of wrinkles. Potent antioxidant plant extracts reduce the free radical damage associated with aging for ongoing skin health. Anti-sag formula includes collagen, vitamin A, vitamin C, copper, and hyaluronic acid to support your dermal matrix. Gently massage cleanser onto face, neck and décolletage. Rinse well with lukewarm water and pat dry. For best results use morning and night.